A serious concern that the majority of San Marino, CA property owners have is not being able to reach a plumber in case of an emergency or even to have simple tasks like faucet washer replacements performed. However, we have a plumbing team on standby 24 hours a day, 7 days a week at (323) 745-2839 to cater for all of your requirements, no matter how big or small they may be. Our plumbers will also ensure that they arrive at your property on time, while also having the necessary knowledge and expertise to get the job done properly the first time round. In cases where properties are more than a few years old, they will normally start needing to have plumbing maintenance, repairs and fixture replacements performed, especially where water heaters are concerned. Water heaters can cause a substantial amount of damage in the form of damaged ceilings, dry walls, closets, cabinets and flooring if they happen to burst. It is also essential that all plumbing fixtures be installed by a San Marino plumbing company who is suitably licensed and qualified, as failure to do so could result in your insurance company declining a claim in the event of a burst water heater occurring. All of our plumbers are suitably licensed and experienced. A single undetected water leak can cost you thousands of dollars in wasted water as well as property damage. When our plumbers are asked to perform leak detection services, they do so in a prompt and professional manner. Our company is also one of few that are in possession of the correct equipment to detect slab leaks, no matter how small they may be. Our San Marino plumber can also perform drain cleaning and unblocking services as well, ensuring that your water supply is always safe and clean. 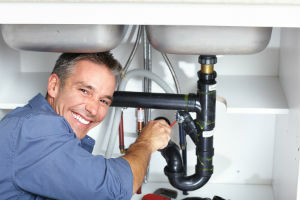 With regards to emergency plumbing San Marino property owners know that these will never happen at a convenient time. As a result, we provide our clients with an around the clock call out service at a fair price. Whether you have a blocked toilet, a burst pipe or a leaking water heater, our team can sort it at any time of the day or night – or even over weekends and holidays if required. 24 Hour San Marino Plumbers | Schedule an Appointment Today!